Dr. Smart Phones specializes in battery replacement for cell phones and other personal electronic items for Irvine, CA area residents. With a proficiency in cell phone maintenance, we are at the forefront of cell phone repair businesses in CA, handling some of the most difficult cell phone problems. Additionally, our company has gotten a remarkable reputation for cell phone and personal electronic repair services. For years, we have become known for our attention to detail. We are mainly acclaimed for our supreme level of quality control and timeliness. Devoted to our customers, we consistently keep customers coming back to us time and time again. Our technicians have formed long-term relationships within the Irvine community. We have a fundamental understanding of the basics of electronic maintenance, and we further the process by nurturing a close relationship with our customers. Our repairmen work hard to deliver a positive outcome between the problem and the solution, as well as staying within your price range. Through years of battery replacement experience on cell phones of all makes and models, our team has sharply perfected their skills to deliver amazing levels of craftsmanship. At our Irvine, CA cell phone repair shop, we believe that a successful battery replacement project is the implementation of a good plan created even before we begin working. Our CA cell phone and electronic repair company manages all types of maintenance work for all types of cellular phones. Whether you have a Samsung phone or an iTablet, you’ve come to the right place. We also manage the cost to make sure we are meeting your budget requirements. Our ultimate objective is to have you enjoying your cell or personal electronic device for many years to come. We have established a business culture that is characterized by passion, accountability, and dedication. Each team member is endowed with these values throughout each phase of your battery replacement job. We enjoy what we do, and we created an environment of teamwork and communication with our customers. ​We work diligently in offering the best value in the industry and evolve in order to bring pioneering cell phone and personal electronic maintenance solutions. We welcome the chance to bridge the gap between your cell phone or electronic maintenance needs and a functioning item. Our team is zealous about what they do and handle business with honesty and responsibility. If you find yourself in need of battery replacement service, reach out to Dr. Smart Phones. Our business has been in the cell phone/electronics repair industry for a long time, and we know that the Irvine, CA community relies on us to be truthful and deliver results. Our crew is first in class, providing the highest quality of cell phone and personal electronic repair services. We are widely known in Irvine as the best place for battery replacement. 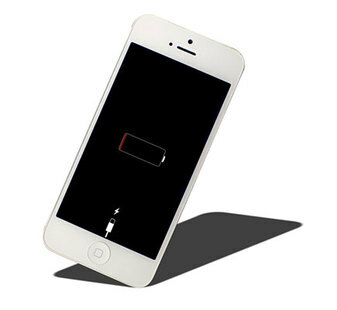 When you need the battery replaced in your phone or laptop, stop by! It doesn’t matter if your phone is the latest model or a few years old, we have the battery that will get it going again.